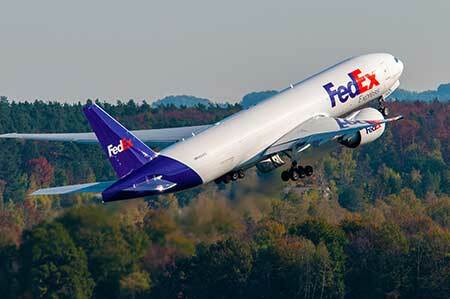 FedEx orders two dozen new Boeing cargo planes. Load ’em up, head ’em out. Cargo operations have rebounded lately, so much so that FedEx Express just ordered two dozen new Boeing 767 and 777 freighters to add to their fleet. The new orders will ensure that Washington’s production lines keep chugging right along at record levels. Currently, the state rolls 72 new planes a month out of its factories in Everett and Renton. The 12 Boeing 767 freighters will be delivered between 2020 and 2022. The 777s will arrive between 2021 and 2025. The order was valued at $6.6 billion using the list price, though carriers usually get significant discounts for orders of this size. Boeing has something of a monopoly on mid- to large-scale cargo aircraft. Airbus doesn’t make cargo versions of their passenger aircraft, leaving the market exclusively to the 767, 777 and venerable 747. This brings wide-body Boeing orders to 50 in 2018, up from 11 just last year, demonstrating the strength of the market. Read more in The Seattle Times.